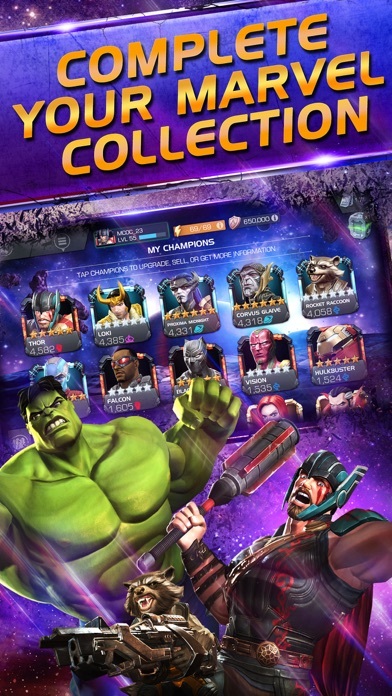 MARVEL Contest of Champions App Data & Review - Games - Apps Rankings! 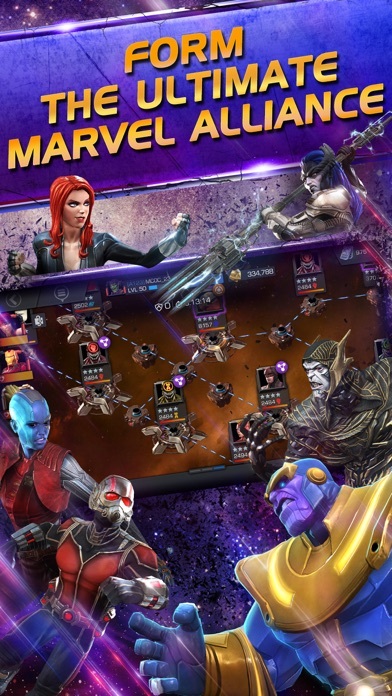 The applications MARVEL Contest of Champions was published in the category Games on 2014-12-10 and was developed by Kabam. The file size is 193.10 MB. The current version is 23.0 and works well on 9.0 and high ios versions. 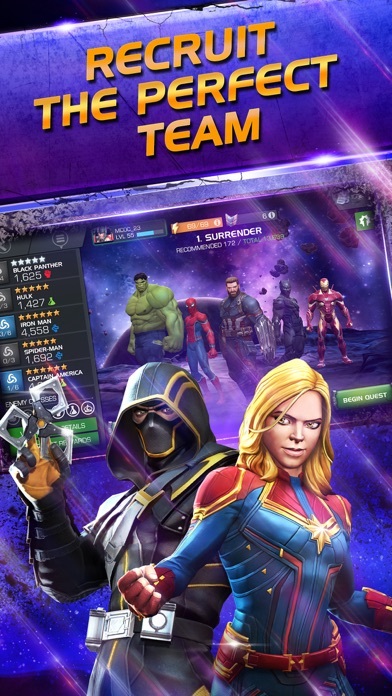 Do you like MARVEL Contest of Champions applications? Please share! I am very true to myself when I say, the gameplay of this game is AWESOME. It’s so much fun fighting with your favourite Marvel characters and doing challenges. 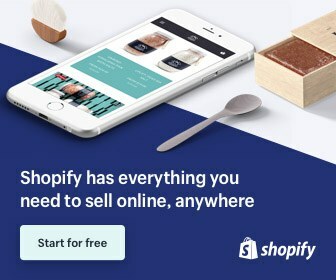 Some people say that the game has a few annoying aspects (e.g payments, crystals) but in my opinion, this game is great if you do or don’t have cash to spend on it. You can still upgrade your characters by getting crystals from spins and challenges. 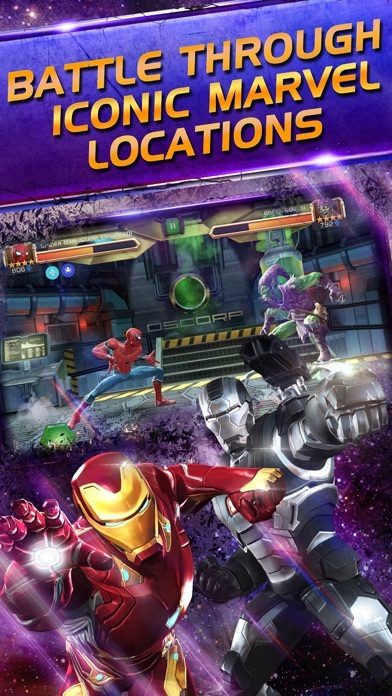 Overall, I think this game would be most enjoyable if you are a Marvel fan (being one myself). This game is awesome because of how they pulled of the stories the animations, the heroes and he controls but what would be more epic is that you could the chance of getting Thanos. I think this game is sooooo fun it’s really good quality and I haven’t experienced a bug I recommend you download this game. 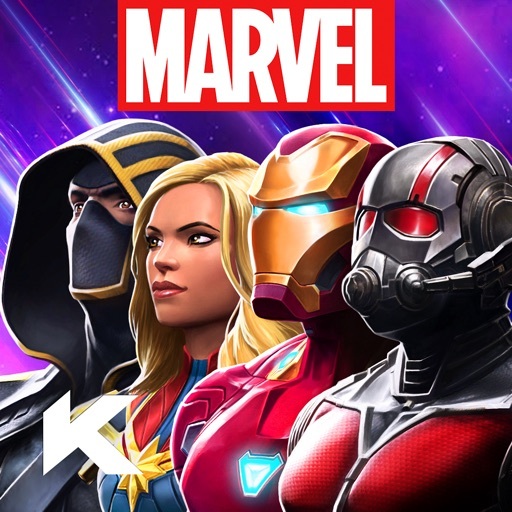 I think this game will be liked by someone who watches a lot of marvel films, but you normally will just get lucky in this game to get really nice champions. It is a very well coded game and exciting in a different way. I love this app and I am 10. I think anyone would in joy the game. I love the gameplay in this game but is a bit pricey and it keeps saying not connecting to network even though I am on a 4G plus network. Great playability makes it easy to get hooked on this! To anyone who has been playing this game for more than a year or 2 I think we can all agree this is about the worst update the game has seen yet almost like the developers slept all through this update everything from AI response to champions are in shambles I’m so frustrated at the moment with this game with all the money we spend in game you would think they could at least give us a quality update. I’m not getting any rewards for the missions. I really do enjoy this game as I am not a huge fan of mobile games but the most recent update has made it literally unplayable for me. I can play any other game but this one just says that it cannot connect to the servers. My brother’s game works and any other app on my phone can connect to the internet, but not this one, I have cellular data on for it but it can’t seem to connect. Please fix this, Kabam. I have deleted and reinstalled the game many times yet I still have connection issues. I’ve been playing this game for over a year. During that time, the character design, which was already good, has improved greatly. However, the developers exploitive business practices and blatant disregard for the player base has only gotten worse. Every time I open the game, I feel like I walked into a casino, and stepped up to a rigged slot machine. Greedy buggers and have made the game a money making sham and just want you to buy units to be able to complete once easy quests and also giving tiny rewards. The 4* and 5* crystals cost way too much and needs to be addressed. Very disappointed in Kabam who have stopped caring about players! Total disregard for the players Awful sad! Joined 3 plus years ago and loved this game. Now developers are blocking use of categories of champions that I have SPENT money on to rank up, making them worthless! Do not get or invest the me or money in this game! Dear Apple user this is by far the best and most popular fighting game in the App Store. I am playing it for 1.5 years and still enjoying it. You can spent money on it but it gives free to play players a fair chance to progress in the game without paying anything. Also, the developers bring every month new content to the game and provide regular updates. Although I am a free to play player, I spent some money after playing it for a while because I think good work from the developers should be rewarded. 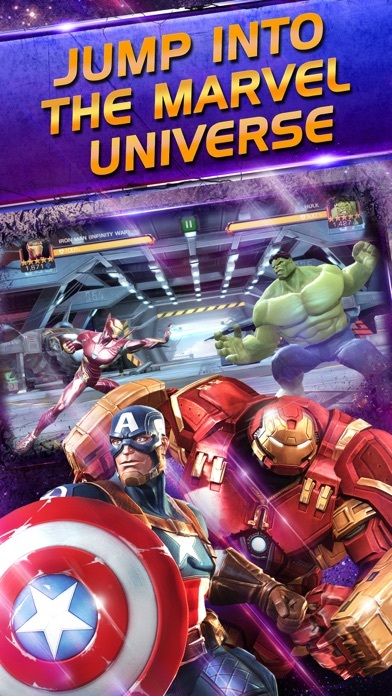 I would highly recommend you to give this game a try, even if you are not into Marvel. Good game that’s getting better and more exciting. But had an issue with buying a three star mephisto and ended up a two star Thor. Can’t get my coins back. Not a happy bunny. What’s with this flaw?